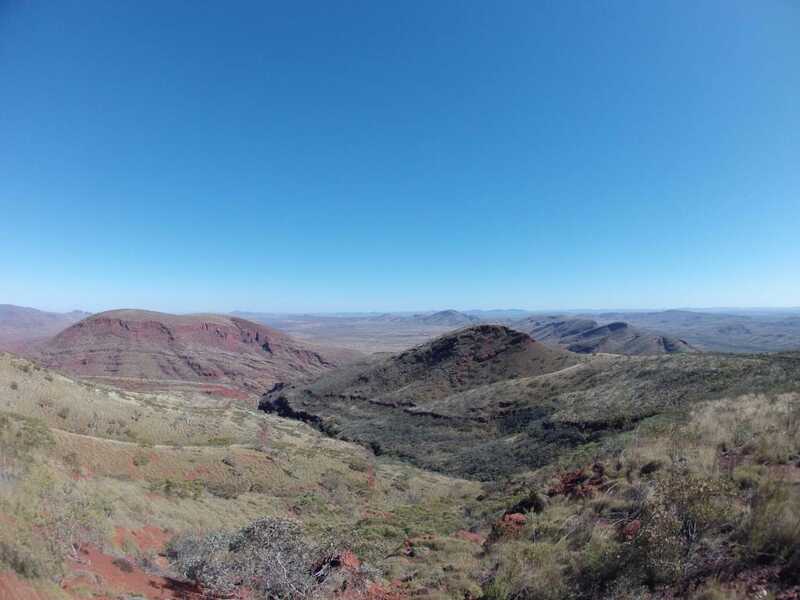 If you are ever driving through Tom Price, Mount Nameless is a spot you should certainly check out. It’s a fairly basic 4WD track to the top of the 2nd highest vehicle accessible mountain in Western Australia. At 1128 metres above sea level, it isn’t just a small mountain either (by WA standards!). 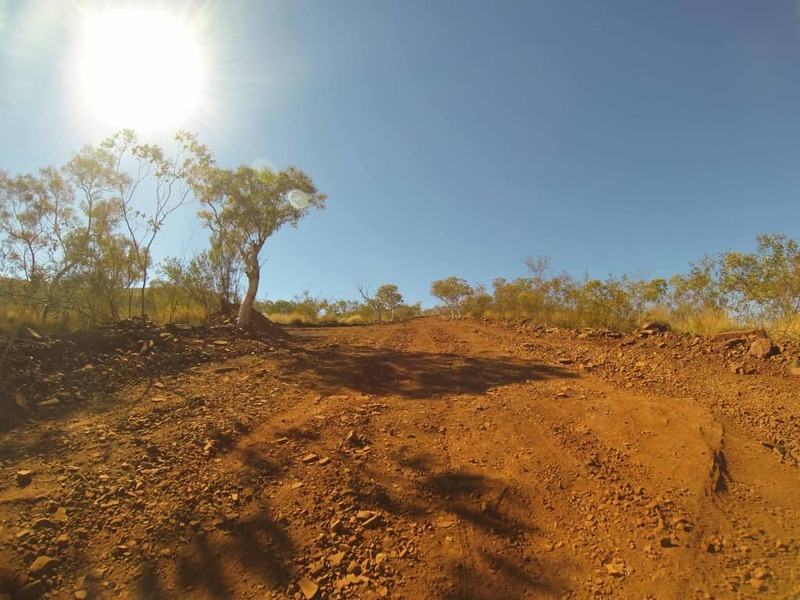 Mount Nameless is located just 4km out of Tom Price’s town center. 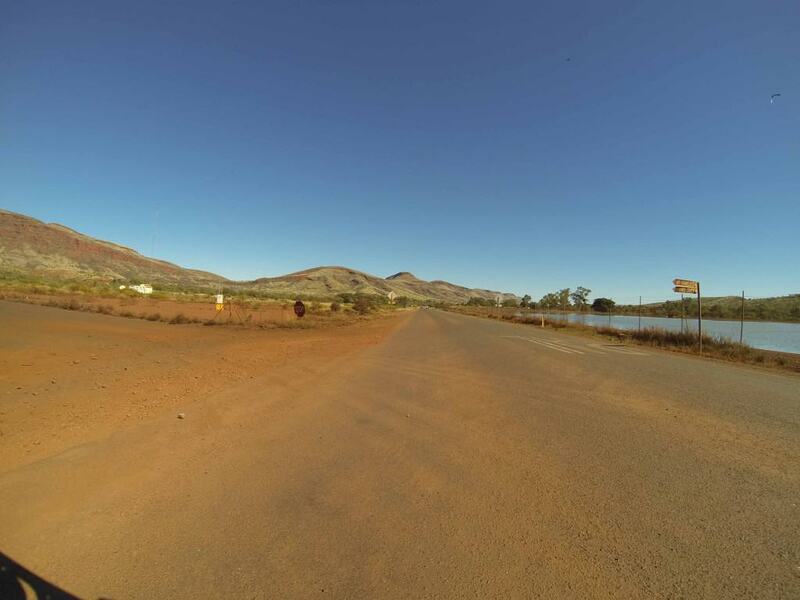 It is around 300km west of Newman, and right next to Karijini. Tom Price is one of the more commonly visited parts of the north west if you are checking Karijini out as it is a good place to refuel before you move on. To get to the start of the track, head west out of the town along Mine road, and turn left (also onto Mine road). From there, take the first right onto Nameless Valley Drive, and then the first left onto a gravel track. 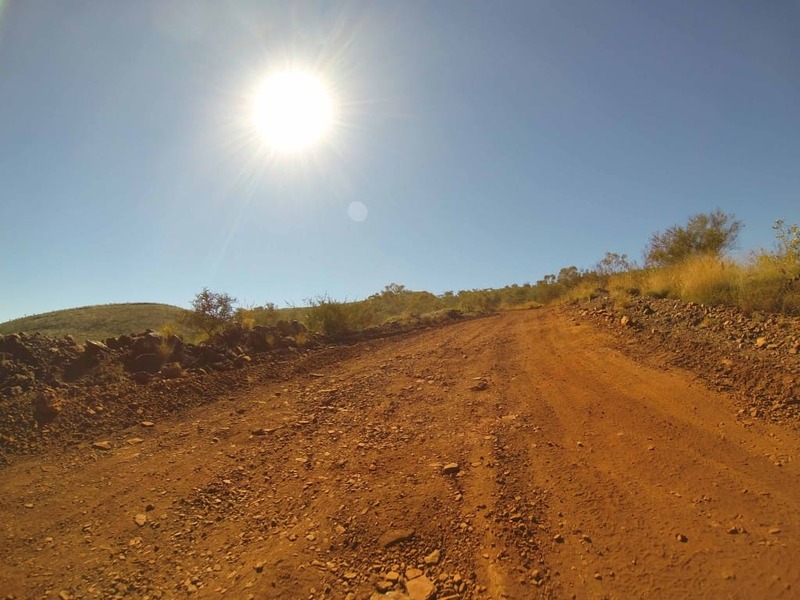 This gravel road takes you past a mine site, and you will eventually end up at the start of the mountain. Make sure you obey the speed signs on the gravel road as there are frequent vehicles coming and going to the mine. The track itself is quite easy. There are a number of uneven rocks, but nothing that requires a huge amount of clearance. Providing you throw it in low range and let the tyres down a bit, you will have a relatively comfortable drive to the top! Once you have let your tyres down a bit, the drive to the top only takes about 15 – 20 minutes. I’d suggest taking it slowly, as although the surface is hard, it is very uneven and you want to make sure you stay on the road! We spent about half an hour at the top taking photos and looking around, before heading back down again. Make sure you use low range and let the engine do the braking on the way down, or you risk having your brakes overheating and failing. The view from Mount Nameless is awesome; just look at the photos for yourself. You can see Tom Price, the mine site and an incredibly harsh Pilbara landscape for as far as the eyes can see. I got the telephoto lense out to take photos of the mine, which is also impressive. 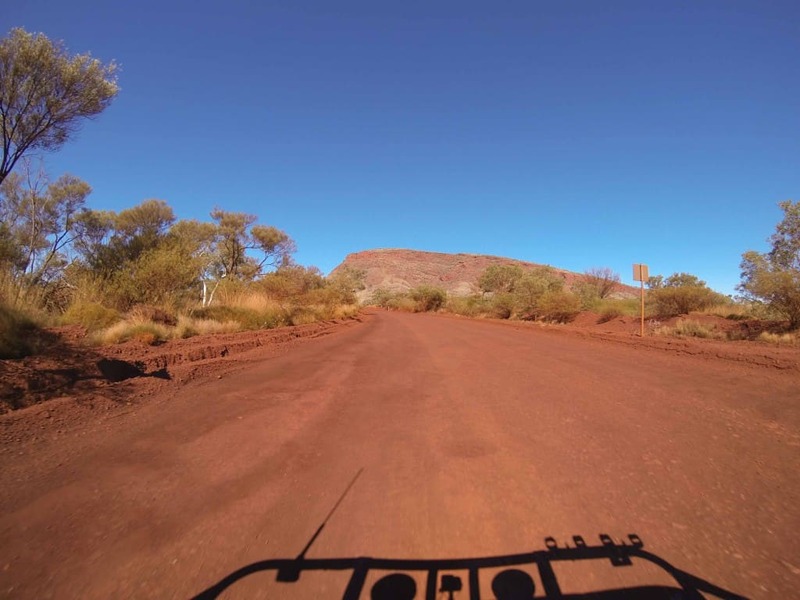 We had driven into Tom Price via a stay at Karijini, and had done a few hundred kilometres already that day. Mount Nameless provides a quick break where you can lock the hubs and do a bit of four wheel driving (as a pose to driving for hours at 110km/h on bitumen roads!). I’d highly recommend it, and given how quickly you can get to the top its well worth a look! G’day Adventurers, your trip reports are quite a good read and no doubt they can be a great source of information for anyone contemplating one of the trips you have showcased. Mount Nameless is most certainly a nice drive with magnificent high point views from the summit and as you rightly say, it’s not overly challenging to drive the track, but Mount Nameless at 1128m is not the highest vehicle (4×4) accessible point in Western Australia, yes it’s up there, but Mount Meharry is at 1245m ~ now this is a challenging drive although not as well known, possibly a good thing because this high point is in a fairly isolated tract of land in the Hamersley Range but within the boundaries of Karijini National Park. 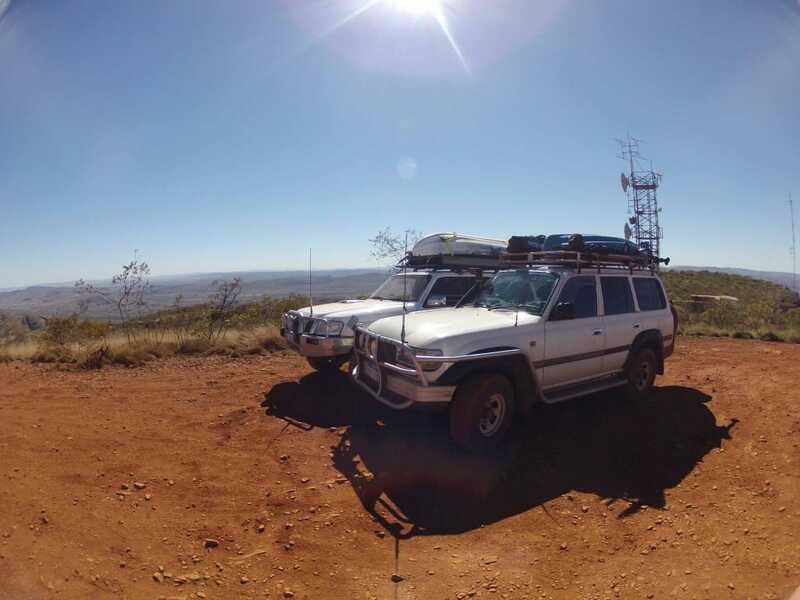 There are several other challenging 4×4 accessible high points throughout the inland Pilbara, but yes indeed Mount Nameless or “Jarndunmunha” as it known buy it’s Aboriginal name is most certainly a beautiful place to visit. Thanks for the information. I guess the visitors center in Tom Price has it wrong! Cheers for letting me know; I’ve updated the post. G’day Aaron, thanks for the feed back on the Mount Nameless story, sadly misinformation can with time be accepted as fact, I have a great affinity and respect for the inland Pilbara as it is where I actually live. I hope my initial comment did not read as having a go at anyone, with the constant change going on across the Pilbara, we as four wheel drive adventurers now have access to fairly remote but spectacular landscape in Western Australia, seeing your web site is a excellent source of gathering and giving information accuracy is paramount ~ someone’s life may depend on it. Not at all mate; I’m more than happy to be corrected. You have a fantastic backyard! We recently went back to my stomping grounds, Tom Price and decided to track Mount Nameless, the track was quite run down and many ditches. Low gear is a definite must, and agree with engine slowing you down on the way down. It is a fantastic little track, with great views! Glad you enjoyed it; we will be back again sometime!